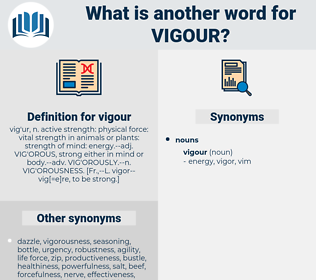 What is another word for vigour? 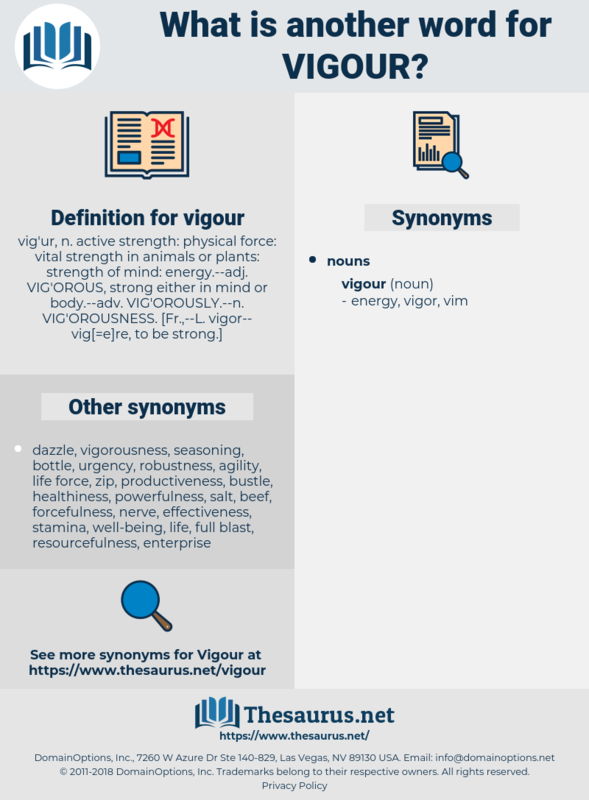 vitality, stamina, rigour, dynamism, energy, firmness, determination, decisiveness, enthusiasm, vibrancy, fortitude, robustness, impetus, zeal, courage, fervour, steadfastness, liveliness, fervor, power, forceful, thoroughness, strictness, resoluteness, intensity, assertiveness, drive, stringency, ardour. Up flew on all sides of the ground figures to show that Stumps had made a dozen, and two British clarionets were blown with a great deal of vigour. The enthusiasm of humanity was upon him, and it kept him going at high - pressure rate, with no apparent loss of strength and vigour throughout the whole ordeal.